Our DrinkCoach products and services offer an excellent early intervention solution. 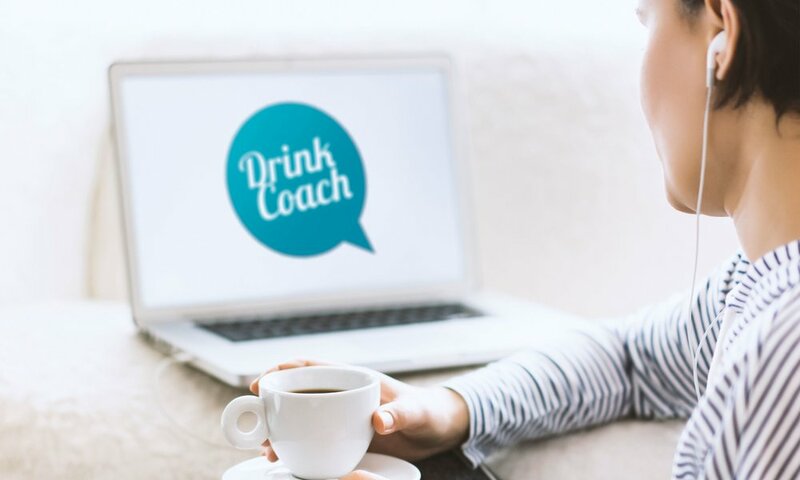 DrinkCoach can integrate seamlessly into your alcohol pathway or help create a central starting point for people to screen their drinking and gain access to local alcohol services. We are an innovative product, the only one of its kind offering a fully digital pathway. Our online alcohol test is based on the World Health Organisation's Alcohol Use Disorders Identification Test (AUDIT) which is recognised as the gold standard for alcohol screening. This allows our online alcohol products to give the public effective brief advice in line with national guidelines. We've had our service recognised as an example of best practice since 2012 when it was featured as a case study in the National Alcohol Strategy. Over 202,000* people have completed the online AUDIT since 2012, with 108,162 scoring increasing and higher risk. Public Health England estimate £27,000 worth of savings to the health and care economy for every 1,000 Increasing Risk/Higher Risk drinkers who receive Identification & Brief Advice (IBA). We estimate that we have saved the health economy over £2,920,374 by delivering brief advice to risky drinkers via our website. We currently operate in 14 boroughs and counties across the UK. *Since inception to 27 November 2018. 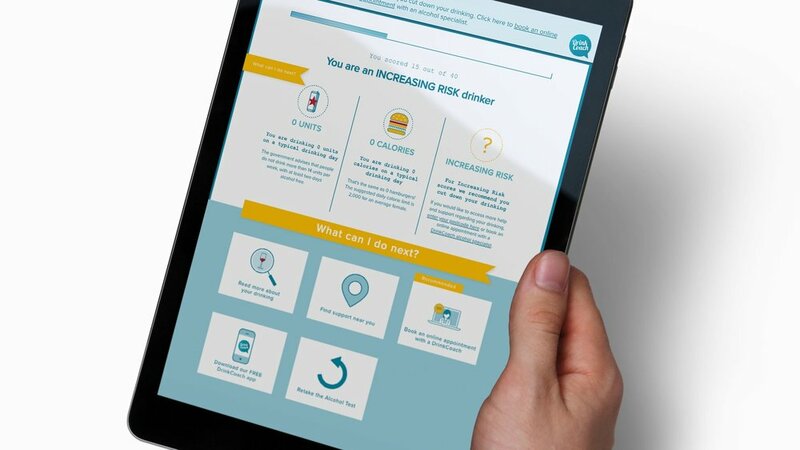 Our online coaching service uses the NICE approved best practice framework for risky drinkers offering up to six Extended Brief Intervention sessions with an alcohol specialist. Results from research undertaken by London South Bank University suggest that attendance for online Extended Brief Interventions (EBI) was higher than face-to-face alternatives and online EBI appears to appeal to a younger and higher risk client group. There was also some evidence to suggest that online EBI led to a greater increase in quality of life and a higher reduction in drinking days*. Includes the premium sub-domain version of the Alcohol Test and an interactive data dashboard. Special introductory offer for new commissions includes the premium sub-domain version of the Alcohol Test, an interactive data dashboard and voucher codes for 100 coaching sessions. A number of contract level packages are available for 300 and 600 coaching sessions. Available as standalone packages or to complement the Alcohol Test.